The story of how this new business came to be has been in development for over 14 years chronicling the founder’s experiences in the industry. That experience has been hardened by the completion of his executive MBA at Queen’s School of Business. He earned this MBA to ensure his single goal of starting his own enterprise would be based on a solid and modern business model. With significant planning, John chose to maximize both the benefits of his experience as a divisional manager and his new educational tools to open his own manufacturing facility. 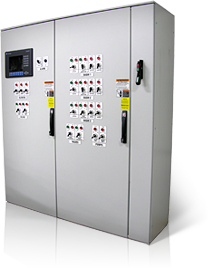 John’s experience and leadership skills will lead Long Bridge in delivering custom electrical control panel fabrication and design services to a wide range of customers. Areas serviced include a large and diverse group of industries including automotive, food processing, waste water treatment and energy control while supporting a growing list of Original Equipment Manufacturers.